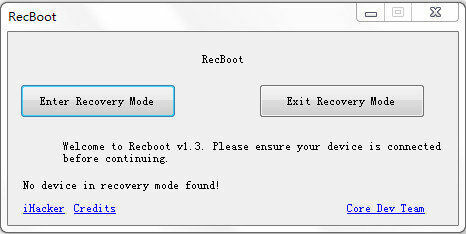 RecBoot is a free program that enables users to put their iPhone, iPad or iPod into recovery mode easily. But recently, many people have reported that when trying to open this software, they only got a message saying RecBoot qtmlclient.dll is missing and unable to start correctly. Some users also encountered the similar problem like "Cannot register QTMLClient.dll." or "QTMLClient.dll not found." The major reason for this error is usually due to Windows cannot properly load the QTMLClient.dll file. Luckily, this article will show you 4 effective ways to fix qtmlclient.dll missing error permanently. Below is a list of troubleshooting ways to resolve your QTMLClient.dll problems. Try the methods one by one to get RecBoot back to work normally. After installing RecBoot, it will automatically register the qtmlclient.dll file for you. But sometimes the files may not be registered properly; the "QTMLClient.dll not registered" error will appear. Fortunately, Microsoft Register Server can help you re-register the qtmlclient.dll file quickly. Sometimes qtmlclient.dll missing error occurs due to accidently deleted, just go to the Recycle Bin to check if it still there. After moving the files, restart computer to check if RecBoot can work normally. Click Download to download QTMLClient.dll & iTunesMobileDevice.dll for RecBoot and then copy the file to the install directory of the program that missing the dll file. Click on the Open File Location button that is found in the Properties window and choose the folder where the application is installed. After trying all the methods above, you can get RecBoot back to work in most cases. But if the problem is still there, free to try the best RecBoot alternative - Free iPhone Recovery Mode ReiBoot to put iPhone into or out of recovery mode with one simple click. That's all the methods we've rounded up for fixing qtmlclient.dll missing error. If you have any questions or different ideas, contact us in the comment part.